"It's totally different to anything that was going on at that time. It was the leader, and everybody followed that." Showtime has debuted a teaser trailer for their new documentary The Beach Boys: Making Pet Sounds, telling the story of The Beach Boys iconic album. 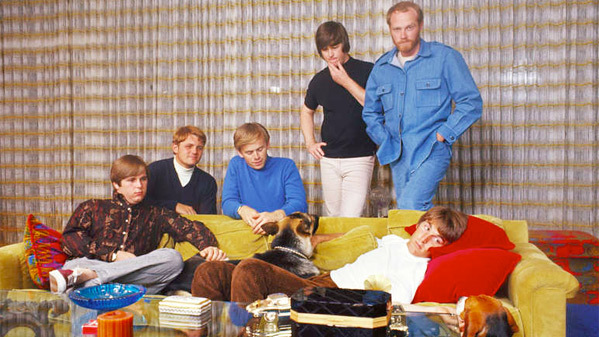 The film features exclusive interviews with Brian Wilson, Mike Love, Al Jardine, Bruce Johnston, and David Marks, and will explore "the story of the creation of the record that cemented The Beach Boys reputation as a leading force to rival The Beatles." The Beach Boys' Pet Sounds was released in May of 1966, and the film chronicles their time in and out of the studio creating the songs. This first aired on BBC, but Showtime has added new footage for the US premiere. This might be a good companion to the Brian Wilson film Love & Mercy from a few years ago. Take a look/listen. Celebrating the 50th anniversary of the release of 'Pet Sounds' in 1966, Brian Wilson and surviving members of The Beach Boys (Mike Love, Al Jardine, Bruce Johnston and David Marks) revisit the writing and recording of the landmark record that is consistently voted one of the top three influential albums of all time. Featuring exclusive interviews, classic archive and rare studio outtakes from the recording sessions. The Beach Boys: Making Pet Sounds originally aired on BBC, however Showtime has added more footage not in the original cut for the US release. For more info on the doc, visit Showtime's website. The Beach Boys: Making Pet Sounds will premiere on Showtime starting on April 7th this spring. Sound good?